Enjoy a Spa Experience at Briar's Spa - Located in Jackson's Point! At the Briars Spa the caring and professional staff are devoted to the health and wellness of their guests. A unique list of services includes an array of Holistic treatments like Reiki, Reflexology, lomi ‘Oluli, Stress Release Therapy, Cranial Sacral or yoga. For the more active types our Registered Massage Therapists can perform Swedish Massage or Deep Tissue Massage to help loosen those tight muscles. Or for those who simply want total relaxation, Aromatherapists can perform Aromatherapy Massage or Hot Stone massage to take you to a place of deep tranquility. Manicures, pedicures, facial and waxing are also offered. Relax in this intimate and unhurried spa set amidst lush lawns, fragrant cedar hedges and mature trees. Inhale soothing scents and choose from a wide variety of treatments such as massages, nourishing facials, hydrotherapy, European wraps, luxurious hand and foot treatments and more. In between treatments you can explore the historic manor house's many cosy nooks. Take a sauna or splash in the solarium indoor pool and hot tub. Once at The Briars Spa you can take time to reflect in the peaceful setting on Lake Simcoe. 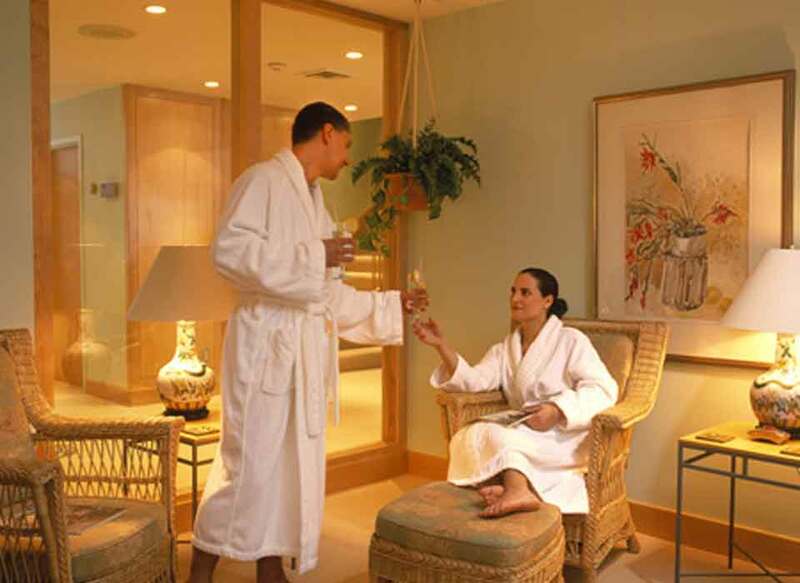 Slip into a lush robe and slippers and enjoy a hot or cold beverage in a guest relaxation room. The intimate spa offers a large selection of treatments and products.